Sometimes simply photos and text aren’t sufficient for user engagement. 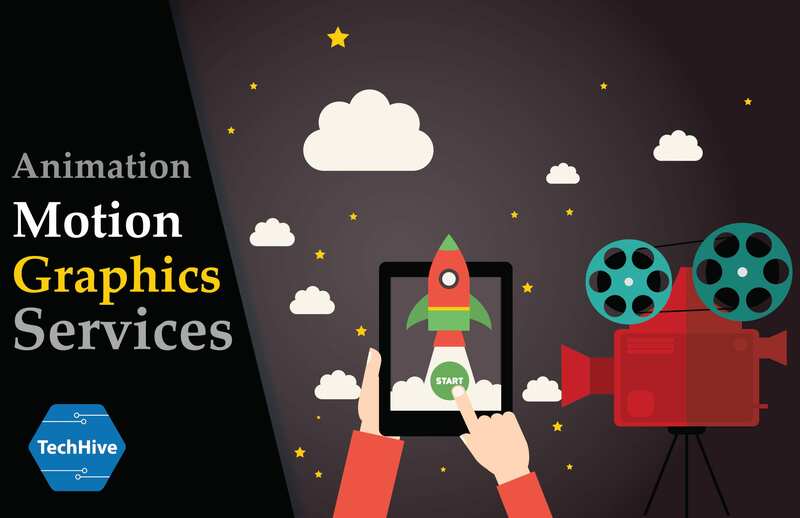 TechHive can design and develop motion graphics that will inform, engage and attract your customers through the videos as a part of your marketing strategy. Motion graphics can demonstrate a complex idea visually in an effective way — saving your customer time and increase your chance for a conversion. Our senior motion graphic designers can create presentations that will impress your target audience. We will help you create animated videos that explain about your product or service more effectively. Animated videos can convince your customers about your products or service within 1 minute before they leave your website. You also need to make sure the presentation is creative, memorable and gets the viewer to interact with your idea. We are able to create motion graphics that demonstrate your idea visually. Animation is useful when you are working with conceptual ideas.It is helpful to convey your message to audience and engage them as a part of your marketing strategy.